Embrace the spirit of summer in the functional Lotus men’s Doran mule. 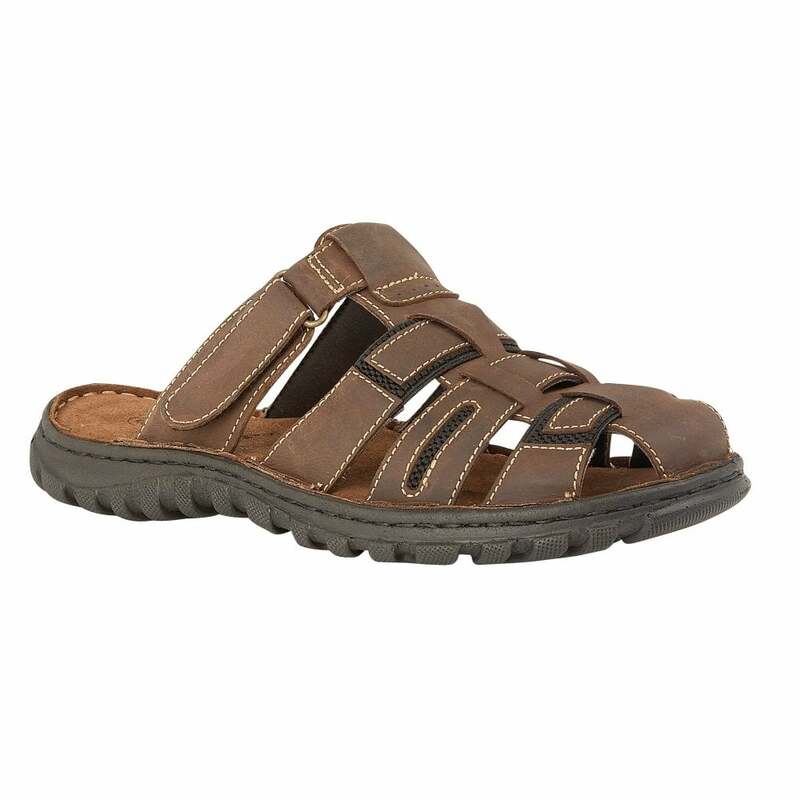 This men’s, brown, slip-on sandal has a multi-strap textile upper that gives ample foot protection, whilst the cleated sole unit provides good grip. The cushioned footbed also makes this men’s Lotus sandal exceptionally comfortable.